I go to Torque Parcal North of Malaga this is rocks which were on the Sea bottom millioms of years back now over a 1,000 mtrs above sea level. Also the Med sea was originally more a swamp until the Straits of Gib appeared and also the Bosphorous. thinking being that this part of the Earths surface was closest to this massive asreroid. In 2020 the Bayeux tapestry is due in the UK. As I’ve noted before, the “clears it’s environment” rule makes it hard to call this “Planet 9”. It is supposedly either in the outer fringes of the Kuiper Belt or some think it wanders through the Oort Cloud. In either case the environment is NOT cleared. Calling it “Planet 9” is in all cases going to be wrong. (Unless there is some bizarre orbit outside the Kuiper Belt, inside of the Oort Cloud, yet still able to gravitationally perturb both so much as to give the anomalous orbits and / or stimulate comet storms. Personally, I’d just fix a mass or diameter that was defined as the “cut off” and be done. Want Pluto in? Make it a 2000 km diameter. What Pluto out? Make it 2500 km diameter. Then all the “issues” just evaporate in all the other cases. (What is the most silly aspect of the definition? It means that MOST and perhaps ALL “planets” are not planets for all of the early part of their existence, as they are busy sucking up local debris. Maybe a Billion years worth? Then there’s an ambiguous period where they got most of it, but not all, and what are they? Then some ill defined time later, they ‘suddenly’ become a planet as enough debris is “cleared”. The Earth gets regular Taurid impacts along with millions of other minor impacts per year. So has Earth “cleared the neighborhood”? If so, why are we sill having a rain of debris? Does this look “clear” to you? EMS – If Pluto is ‘in’, why not Eris with similar size and mass? Eris (minor-planet designation 136199 Eris) is the most massive and second-largest dwarf planet in the known Solar System. Eris is the ninth most massive object directly orbiting the Sun, and the 16th most massive overall, because seven moons are more massive than all known dwarf planets. Eris’s mass is about 0.27% of the Earth mass, about 27% more than dwarf planet Pluto, although Pluto is slightly larger by volume. So has Earth “cleared the neighborhood”? Nothing of any significance (except the Moon) has a similar orbital distance from the Sun. But look at the Plutinos (near 40 AU)…these are only the large ones. Lots of smaller ones not shown. I take no position on Pluto IN vs OUT. As for Eris (and Sedna and even Ceres and…) that would depend on what size limit were chosen (and diameter vs mass – mass being easier to estimate for things you can’t see well but can observe influencing orbits). As for Eris: Mean radius 1163 km. Want it “in”, make your limit 2000 km diameter. Want it “out”, make your limit 2500 km diameter. As for Earth “clearing the neighborhood” you have a statistical issue that is NOT addressed. (Part of the problem I pointed out above). How often or what percentage is “cleared”? Note that this is NOT stated in the definition. Nor is “any significance” in the definition. The definition says cleared of “planetesimals”. As Anonymous said, the largest Near Earth Object is 1036 Ganymed (yes, it was named after the same god that Jupiter’s moon Ganymede was named after. Ganymed is the German spelling of the god’s name). As for consequences, the Chicxulub crater was caused by a meteor that is estimated to be about 10 km in diameter. It was the cause of the Cretaceous–Paleogene extinction event. I am afraid that if a meteor 22 km across hit the earth, nothing would live through it. Fortunately, Ganymed does not cross earth’s path and will never hit us. But there are plenty of asteroids out there that can do a lot of devastation,so we do need to do out best to find them all and track them. We are still getting hit with “big ones” from time to time, so by definition we’ve not cleared the neighborhood of planetesimals. So now you end up in a statistical argument about how often is ‘not often enough’ to count… another of the problems with a definition that is ill suited. just like what happens when something perturbs the orbit of 1036 Ganymed such that it does cross Earth. Or we end up with a definition that must ASSUME all orbits are stable forever (a known fallacy). 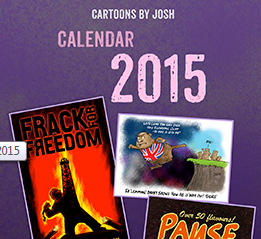 BAD definitions put you in this kind of no-mans-land of squabbles and non-defined things. GOOD definitions do not suffer these problems. So I advocate for “Pick a SIZE limit you like” and avoid the whole “when were enough planetesimals soaked up to START being a planet” problems along with avoiding arguing over Pluto and Ceres in / out based on nearby junk and avoid special pleading that Trojans are exempt and all the rest. Once you want a definition that says “if there is junk near by” you get into a whole lot of more issues with what junk, how big, how often, WHEN, etc…. Do remember that at some early point in the solar system formation, the existing Planets were undergoing much more regular bombardment, but were also QUITE large. The present definition says something the size of Saturn (as Jupiter was at one point in the accretion) was NOT a planet, until a little later when it suddenly was…. At that time it, too, had a lot of planetesimals near it (by definition). EMS – if you include the ‘crossers’ nothing has any chance of clearing anywhere, not even Jupiter. I think the book Dark Matter, Missing Planets & New Comment , Paradoxes Resolved Origins illuminated by Tom Van Flandern has been mentioned several times on this site. Van Flandern says that there is a good chance that a planet exploded between Earth and Jupiter leaving behind mars and causing the rotation of Venus to go the other way and even that Mercury was a moon of Venus which was knocked off. He also speculates that there was another planet further out which exploded and left behing the dwarf planets Pluto etc and affected the orbit of Neptune.Van Flandern ( https://en.wikipedia.org/wiki/Tom_Van_Flandern ) was a respected astronomer and based his book on factual information for which he gives an extensive reference list. A Planet is defined as orbiting the central star (our sun), never going retrograde in orbit (sun concave orbit) and “self rounding”. Then just stop. Find a rock bigger than 2000 km orbiting the sun, it’s a planet. Find something bigger orbiting Jupiter and sometimes the orbit is convex to the sun (retrograde motion) as it spins past Jupiter, then it’s a moon. Do note: This definition would also resolve some of the issues with the Moon. It doesn’t really orbit the Earth so much as the two of us co-orbit the sun. The lunar orbit is always solar concave and never goes retrograde. We end up as a binary planet system and all the kibutzing over how big our moon is compared to Earth and no other moon being like that just evaporates. No lunar special pleading needed either…. Yes, it disrupts the “Traditional 9” and it disrupts the “Present 8″… but it is sound physics and both rational and consistent without loose ends. When Jupiter was the size of Saturn AND taking lots of impacts while it grew, it WAS a planet. Just a young one still accreeting. Ceres returns as a planet and we no longer need a special pleading that it’s really just an overgrown asteroid. Etc.etc. But then what? Make a Will? There is absolutely no interest beyond where funding exists. And that ignores the fact that the biggest hazard to humanity is under our feet, as the Holocene clearly provides proof. Few survived the events between 8k2 and 2k. Those did not come from outer space in spite of all ‘impact’ theories. But there is no interest there. Oldbrew: There is no need to bring the Bayeux Tapestry to Britain! There is an excellent copy of it in the Reading Museum, made in the 19th century. Perhaps I’m being naive here but I rather thought the term ‘planet’ meant a body (in the solar system) that moved around the sky, from our point of view. The word is derived from the Latin ‘planeta’ (wanderer) is it not? Planets orbit the Sun, whereas moons orbit planets (but by doing so they inevitably orbit the Sun also). If you spot them early enough, very little delta-V is needed to shift the orbit just enough to avoid Earth. We have several ways that it could be done. Ignoring it for the little ones (like recently lit up part of Russia) but doing something about the ones like Tanguska that could nuke somewhere as large as New York City. That was the original definition. By that definition given our better telescopes now, we’d have dozens of planets as things the size of Ceres would qualify (and at one time it WAS defined as a planet…) but to avoid an ever larger catalog of planets, the definition has been changed. Oh, and in the ancient form, the Moon of Earth was a planet… as it wandered too. Then it became “not a planet” when the sun centered model “won”. But they missed that it is never retrograde orbit and that the Moon / Earth system is really two bodies orbiting the sun. Another “special pleading ‘was made to require the barycenter, or the mutual center of rotation, of a binary planet to be outside the surface of the Earth so the Moon would remain not-a-planet. BUT, the barycenter is close to the surface of the Earth and the moon is slowly receding, so eventually the moon will again “become a planet” as the barycenter moves to above the surface. Would that it were true that a dwarf planet was just defined as a planet of small stature, like “below 4000 km diameter”. I’d be fine with that. Toss Pluto, Ceres, etc. etc. all into the “planet but small enough to ignore when naming all the big planets in 3rd grade” bucket and move on. But it isn’t. A dwarf planet is a planetary-mass object that is neither a planet nor a natural satellite. That is, it is in direct orbit of a star, and is massive enough for its gravity to compress it into a hydrostatically equilibrious shape (usually a spheroid), but has not cleared the neighborhood of other material around its orbit. The term dwarf planet was adopted in 2006 as part of a three-way categorization of bodies orbiting the Sun, brought about by an increase in discoveries of objects farther away from the Sun than Neptune that rivaled Pluto in size, and finally precipitated by the discovery of an even more massive object, Eris. The exclusion of dwarf planets from the roster of planets by the IAU has been both praised and criticized; it was said to be the “right decision” by astronomer Mike Brown, who discovered Eris and other new dwarf planets, but has been rejected by Alan Stern, who had coined the term dwarf planet in April 1991. If suffers from the same bogus “cleared the neighborhood” kludge as full sized planets. So again you start racking up the brain warpage. Starting with the very first line. A “planetary-mass” that isn’t a planet. Say what? WT Heck does that mean? Oh, it means that when Jupiter was “only” the size of Saturn and a gas giant, it was a “dwarf”… Sheesh. This whole thing was just a badly played hand to get all the KBOs knocked out of the Planet definition. There’s a couple of them that are quite large and “someone” just didn’t want to start getting into the business of having 20 or 30 “planets”, so they invented this kludge that doesn’t work well at other times in the evolution of the solar system and doesn’t work all that well now either. As of 5 Feb 2018, Brown’s list includes 952 objects, identifying ten known trans-Neptunian objects—the four accepted by the IAU plus 2007 OR10, Quaoar, Sedna, Orcus, (307261) 2002 MS4 and Salacia—as “near certain”, with another 27 “highly likely.” Stern states that there are more than a dozen known dwarf planets. Only two of these bodies, Ceres and Pluto, have been observed in enough detail to demonstrate that they actually fit the IAU’s definition. The IAU accepted Eris as a dwarf planet because it is more massive than Pluto. They subsequently decided that unnamed trans-Neptunian objects with an absolute magnitude brighter than +1 (and hence a diameter of ≥838 km assuming a geometric albedo of ≤1) are to be named under the assumption that they are dwarf planets. Mercury is 2440 km radius. So about 4880 km diameter. The easiest “fix” would have been to just define an artificial cutoff (no more artificial than ‘clears the neighborhood’…) of 4000 km Diameter for being a planet (or the equivalent rocky mass of about 3 x 10^23 kg if you want a mass basis) and be done. Pluto, Ceres, Eris all out. 8 in. Or, if you wanted to keep Pluto in, make the cutoff 2000 km diameter and accept Eris as a Planet also so we get 10. All the other TNOs are under 1000 km pretty much and nobody would mind leaving them out. Ceres at 473 km radius 956 km diameter would also stay out so no worries about a “planet” in the asteroid belt. Would it really be all that horrible to have a 10th planet “discovered”? Oh, and note that the Moon, at diameter about 3475 km, gets excluded from the Planet Club if a 4000 km diameter cut-off is used, but would stay in if a 2500 km or 2000 km diameter cut-off is used. In the case where it was excluded, we would become a “planet / dwarf-planet binary system” with the removal of the barycenter rule. EMS – no definitions can be exact when solar systems are as messy as they are, or ours is anyway. But if you look at the so-called ‘planets’ of our SS, none of them have another planet or dwarf planet near them (in terms of orbital period / semi-major axis), although they may have one or more large-ish moons. But Pluto is relatively small and does have dwarf planet-sized bodies orbiting in very similar periods e.g. Orcus, Ixion, i.e. at about the same average distance from the Sun. Ceres, Pluto,and Eris all remain “dwarf Planets”. (or when it inevitably drifts a bit further out but we won’t be alive then). Jupiter as a Saturn sized young acreting planet is not called a dwarf. All the other smaller TNOs stay out of the Planet Pool. No need for special pleading about the Trojans. No need for statistical hand waving over NEOs and Earth crossers. Oh, and do note that the Earth has a “similar sized planet or dwarf planet” near it in almost the same orbit… The definition was cooked to say “barycenter inside Earth, not a planet” (there WAS an active proposal to make it concave / non-retrograde orbit instead). So slight change of definition, it becomes a planet. Or just wait a bit and inevitably it will drift outward enough to suddenly become a planet under our present definition anyway… and they again you will have your example of “a nearby planet in almost the same orbit”. (As will be the case for all binary planets in other solar systems). Defining A by what B is near it is a rough, irregular, and painful road…. EMS – what status would Pluto’s binary partner Charon have in your preferred scheme? As it is under 2000 km in mean diameter, in all choices of “Planet Size Limit” of 2000, 2500, or 4000 km (or any size you like larger than the 1616 km diameter size of Charon) it would either be a dwarf planet or a moon of Pluto (depending on how you chose to define moon and where the barycenter of their mutual orbit might be). Say planets orbit the sun, concave all the way, and have diameter greater than or equal to 4000 km. Then we have 8 planets, and a bunch of dwarf planets. Leaving he moon definition alone (as just about everyone in the IAU would go ape sh… crazy over us being a binary planet system or a planet / Dwarf planet binary) that would make Pluto / Charon a “Dwarf Planet Binary System”. It would appear to me that the definitions are drawn from the wrong point of view. There are stellar bodies of all sizes that are basically orbited by smaller bodies or satellites. 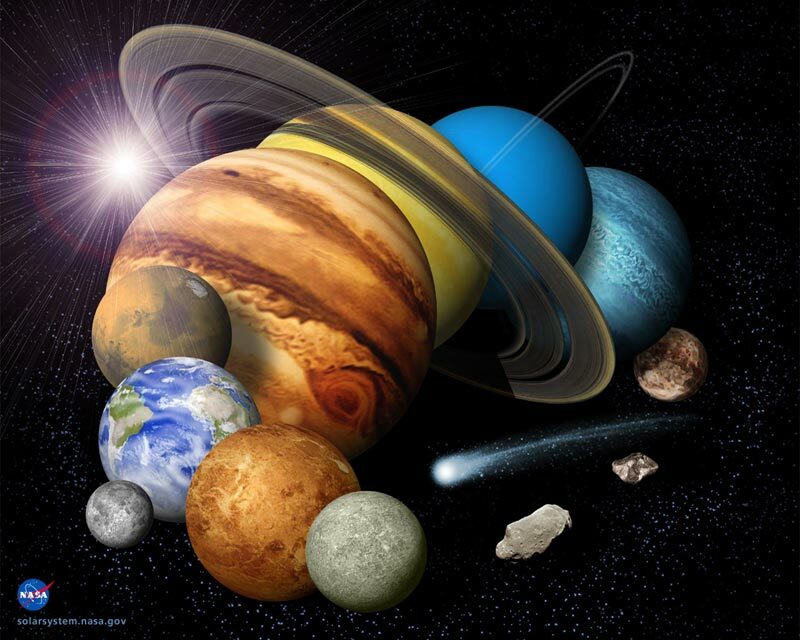 These are planets and planetoids that are large enough to self round, comets and asteroids. Any body might have satellites of any number or size. A moon is a satellite regardless of size. These are just the brightest ones. No such list can be drawn up for Earth. By extrapolating from the limited area of the sky so far examined, we have estimated that the number of Plutinos larger than 100 km diameter is 1400, to within a factor of a few, corresponding to a few % of the total. Here, Pluto is in the blue (resonant) group just inside the 40 AU line. Some non-resonant KBOs have inclinations much higher than the Plutinos and this is a dynamical surprise, for which no single, clear explanation currently exists. That probably brings us back to Planet 9 theories. Scientists criticized the choice adopted by the convention of the International astronomical Union in 2006. Again, the problem is: if a different definition were to be adopted, which of the current ‘dwarf planets’ should be promoted to planet, which not, and why (were those criteria used)? I’ve already shown how the use of diameter lets you have the same outcome as now, but with a clean definition. Not one where “little junk” determines what is a planet. Over 4000 km = planet; then Pluto, Eris, Ceres etc. ALL stay dwarf planets. So 8 planets. Called 2004 EW95, the asteroid is unique in that it is rich in carbon – the first such rock found so far from the Sun. It probably formed in the asteroid belt between Mars and Jupiter before being flung out to its current location in the Kuiper Belt. And then there’s the pithy take by California Institute of Technology astronomer Mike Brown, whose discovery of outer-solar-system objects helped spark the rethink of Pluto’s place in the solar system. “So, hey, Pluto is still not a planet. Actually, never was. We just misunderstood it for 50 years. Now, we know better. Nostalgia for Pluto is really not a very good planet argument, but that’s basically all there is. Now, let’s get on with reality,” Brown wrote via Twitter, where his handle is @plutokiller. Or we could have over 100 ‘planets’ (see link), most of them smaller than the Moon? No thanks. Other astronomers aren’t so certain — in part because the early solar system remains a mystery. 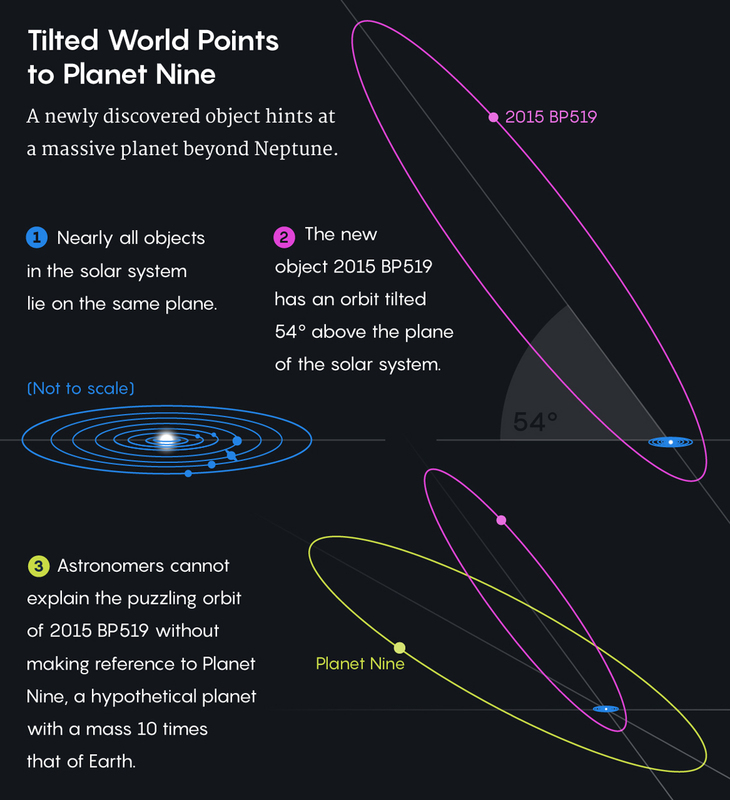 p.g – it would probably be difficult to work anything precise out about a Planet 9 based on the orbits of a few dwarf planets. But if that’s all the evidence there is, might as well give it a go. Through the model, the team arrived at a conclusion that a previously discovered glacier on Pluto’s surface, the Sputnik Planitia, has the similar nitrogen composition to that of the comet 67P/Churyumov-Gerasimenko. “We found an intriguing consistency between the estimated amount of nitrogen inside the glacier and the amount that would be expected if Pluto was formed by the agglomeration of roughly a billion comets or other Kuiper Belt objects similar in chemical composition to 67P, the comet explored by Rosetta,” Glein explained.